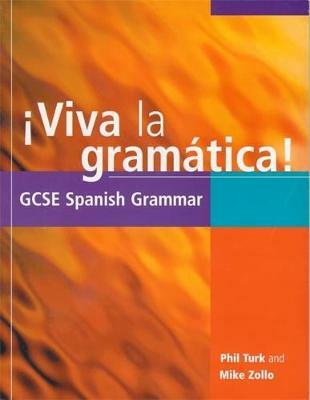 A grammar reference and activity book, aimed at GCSE Spanish students. Written by the authors of "Accion Gramatica! ", it provides explanations and practice of the grammar structures specified by GCSE examining boards, covering both foundation and higher levels. Each chapter deals with a specific grammatical point and is divided into three sections: "Preparados?" contains clear explanations in English with examples in Spanish; "Listos?" provides reinforcement exercises to practise what has been introduced; and "Ya!" suggests open-ended communicative activities to encourage and develop the use of language using the grammar points in question. The text should provide a grounding in grammar for students of GCSE and Standard Grade Spanish, as well as being a useful support tool and revision aid for A/S Level candidates.